RetroCollect Forum • View topic - Anyone still game at the arcades? Anyone still game at the arcades? Anything current-gen and last-gen belongs in here. Playstation 3/4, Xbox 360/One, Nintendo Wii/U/Switch, Nintendo DS/3DS and Sony PSP/Vita. Something I have been doing forever and still do today. Started off from all the older titles like Galaga, Street Fighter, Mortal Kombat, Raiden etc continuing on to Metal Slugs and Time Crisis and Tekken which I used to play competitively and now I play a lot of DDR/ITG, Pump It Up (good for fitness!) and stuff like Maximum Tune (side note music is done by Yuzo Koshiro who did the Streets of Rage soundtracks). Would have played 100s of different titles over my life. Misses plays the 'dance' games as well for fitness and loves ticket and claw games. Arcades were still fairly popular up to about 15 years ago and really died down with the majority closing down or local diaries not having a random cabinet but they are currently making a bit of a come back at least in the form of larger arcades. Re: Anyone still game at the arcades? I rarely see arcades anywhere these days and even when I do, I don't spend money on them as I'd rather just play at home with unlimited tries. I'm kind of a cheapskate that doesn't like throwing money away unless I get a good deal out of it. I don't often come across any arcades anymore the only machines I know of locally are at a local bowling alley and they tend to be mostly prize machines and grabbers. Luckily I have Arcade club a short drive away http://www.arcadeclub.co.uk its £10 entry and all the machines are set to free play so its easy to get a cheap arcade fix. straydog wrote: Something I have been doing forever and still do today. Have you got somewhere local you go to? Blimey, you are lucky to have access to that thing! It may sound goofy but most my friends and even my partner who I have been together with 10 years we met at the arcade. Although I do live in New Zealand and yeah most you guys are UK. Do have a friend currently working in London and there is an arcade a little bit from him he visits so keeps up. If any of you guys like trance music Id recommend looking up the Maximum Tune soundtrack. Love Yuzo Koshiros music. Spasho - Yeah I do understand your feeling but usually its game that dont have home releases yet or big dance cabinets and enjoy the social aspect of it. Collz - Damn I would love it if we had something like that. We used to have a 2 hour free play thing but they stopped doing that long ago. RetroBob - Yeah I we have multiple around Auckland, closest 5 minutes drive then another 15,20,30 mins drive etc. TMoleman - We have one of those locally, actually not sure what it costs but will have a look next time. That's cool man - lucky to have arcades still and nice memories that your friends met there. I acknowledge that it's illegal to download and play MAME roms but heck, if that's not how I'd be able then I'd never get a chance to play The Simpsons. Thankfully, that's an arcade game that received an official release on PS3/360 but it's digital-only, I even bought it but to actually be able to play the darn thing I need to be connected to have my console updated and all that. Since 360 digital games can be transferred to HDDs and USBs, then to PCs I thought I'd just need a backup of the game and my account but nah, as if they'd make it that simple. I faced this issue sometime ago when I swapped my 360's HDDs and it didn't work, well, the games were recognized only as "demos" which was pretty disappointing. I paid for them and can't play 'em without being connected to the internet. I bought Indie games on the 360 and those games only work when it's connected to Xbox LIVE.. unless I hacked my 360 but got no plans for that so it stays unplayable. Piracy is a necessary evil because sometimes there's content you can only get thanks to users who archived it otherwise it wouldn't be available anywhere. But I think the main draw of the arcade was the sort of ever-changing visceral physicality of the units as well as the actual environment itself. Especially if that was somehting that you grew up with. It would create such a buzz whenever a fancy new unit would turn up, every other month, from Japan. Pre-internet, all we had were magazines and the arcades. And the arcades were constantly serving up something of a preview of an almost unobtainable far future in those days. Sturmwind wrote: But I think the main draw of the arcade was the sort of ever-changing visceral physicality of the units as well as the actual environment itself. Pre-internet days there were the bootleg cartridge consoles which still exist today but are just a thing of the past. 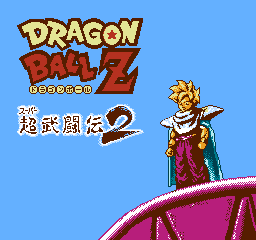 I remember loving the heck out of Dragon Ball Z Super Butoden 2 NES pirated version but playing it now... it looks and sounds like garbage. I do wish I'd still own the cartridge of this pirated game because it's so nostalgic. The one I used to go in when I was young was well dodgy and people got mugged outside. Kinda put me off somewhat but the games... they were great. I'm actually really lucky to be able to live about 20 minutes from a retro arcade. Of course, I collect video games so now I don't really visit that often but every now and then I stop in and have some drinks since they decided to also include a full bar lol. The place is really awesome full retro machines in a natural arcade layout inside and for when it's warm outside they actually have a patio where you can go outside and play in Mario Kart tournaments or whatever on big TV's and game consoles along the wall. It's a ton of fun especially when you're 3 or 4 margaritas deep. Not so many around nowadays. The coastal towns, nearest to me, used to have plenty but are mostly full of those awful "mobile phone on a big screen" games (temple run, angry sodding birds). That or broken shooting games, fruit machines galore. Croydon has the "Heart of gaming". Its a big hall full of cabs, some rescued from the sadly closed Trocadero. Theres also console setups and big screen displays. You pay a tenner for a days worth of free play. Unfortunately, most of my arcade gaming nowadays comes from seaside town arcades rather than anything near me. Some of the cinemas in the area might have a cabinet or two, but nothing exciting. Recently, I've been enjoying some of the modern lightgun shooters like Deadstorm Pirates and Jurassic Park, as well as the odd racing game (mostly Mario Kart and Outrun 2 SP), but there isn't much choice from other genres. I also tend to snap up whatever chance I get to play on pinball tables, since I don't find them very often. Unfortunately, retro arcade games are thin on the ground from my experience, although I recall one arcade that had a few (forget which town it was in, though).